The original plan for our complete kitchen remodel was to reuse the old cabinets (just rearrange them and slap on some new paint and hardware). 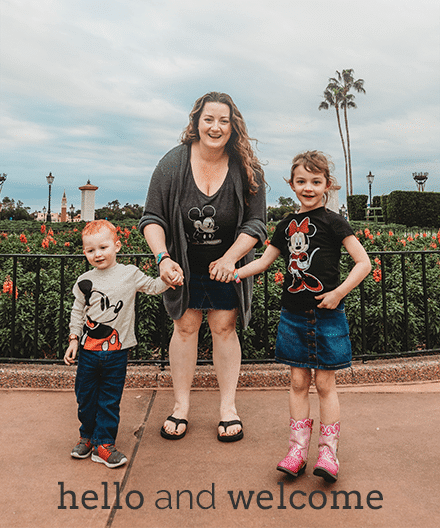 Well, after months of trying to arrange them in a way that made sense and attempting to figure out how to make their awkward sizes work for us – we made a HUGE change of plans. We decided to bite the bullet and go for all new kitchen cabinets. 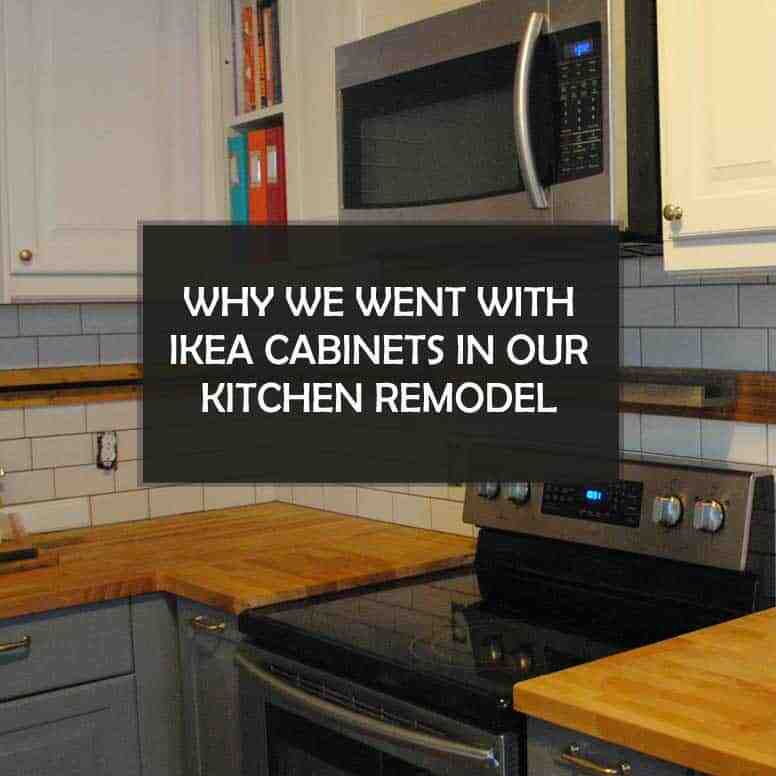 Here's why we went with Ikea cabinets in our kitchen remodel! This was actually a big deal for us and didn't happen without a lot of discussing and a hard look at our budget. At the time, we'd just had a baby and hosted my mom and three teenage siblings for a couple of months in our home. Money was T I G H T.
I had been living with a completely gutted kitchen for going on four months and was SO TIRED of preparing dinner on just a 8″x11″ cutting board. The exact cabinets and layout that we wanted. The exact colors and finishes that we wanted. The ability to buy the kitchen piece-by-piece as our budget allowed. Huge savings by doing all the labor ourselves. 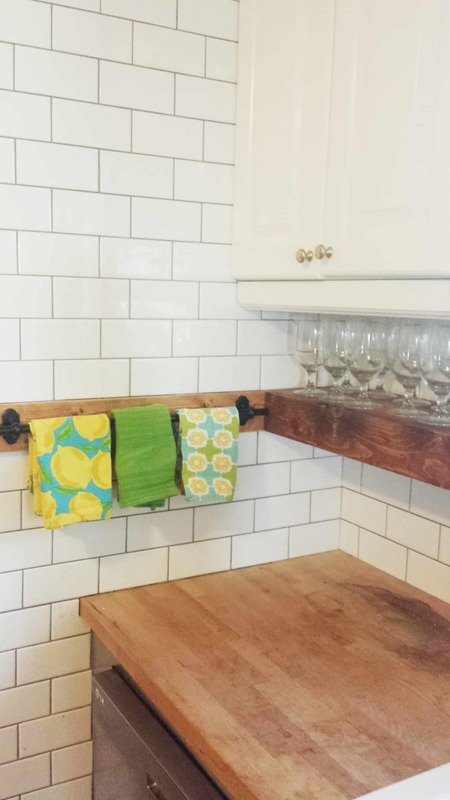 Advice from the kitchen pros on layout and function for our little kitchen. Lots of exterior and interior options to choose from. Shelling out for all new cabinets that we did not budget for. Delaying the completed kitchen because we could only afford to buy a piece here and there. Trying to assemble and install an entire kitchen with a newborn. Trying to find space to store everything until we had time to assemble it. In the end, we decided that a new kitchen was worth all the extra money and hassle so we went for it. We considered doing pre-made cabinets from Lowe's or Home Depot but opted against it in favor of ones from Ikea. I liked the door and finish options. Specifically, I'd been planning on gray lower cabinets and white uppers and Ikea had those which eliminated any painting on my part. Ikea offers lots of options with drawers and pull-outs which I prefer over the door style cabinets. I could buy our kitchen literally piece-by-piece as money freed up instead of having to come up with a lump sum all at once. If I altered the design or layout of the kitchen while we were remodeling – it's not a big deal or overly costly since Ikea cabinets are purchased and assembled piece-by-piece. A 25 year warranty on every part of the kitchen. Adjustable legs which work best for our pier-and-beam house. 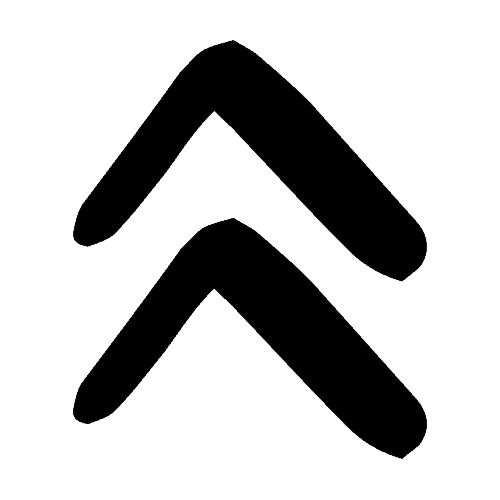 Cheap – Ikea cabinets are super inexpensive since you do all the planning, assembling, and installing yourself. Any of you have or considering Ikea cabinets for your kitchen remodel?